I have mixed feelings about this one day in May being dubbed the day of the year to appreciate and remember moms. After all, it’s really just another day. Once you become a mom, life is no longer about you. Everything we do is for, about and because of our babies. And that really doesn’t ever stop. Even when our babies start to have babies. In my opinion, every day should be mother’s day. Moms make the world go round! Every day should be a day that we recognize and remember and appreciate and celebrate our moms, and all women, for the life-giving force they are; whether they’ve birthed a baby from their own bodies or not. I truly believe all of life begins and ends inside women. All women. With that said, now that I am a mom, I have to say it’s nice to have a whole day dedicated just to us. Because let’s face it, moms are often the behind the scenes laborers who go unrecognized as they lay the groundwork and set the stage for our children to shine. I think that’s the very reason the ominous “they” of the world determined a need for at least one day that all mothers are recognized. But Mother’s Day is a bitter-sweet day for many people. Not all moms get the recognition they deserve. And not everyone has a wonderful mother to celebrate. Some women want to be mothers but don’t yet have a baby. Some women have babies in heaven. Some women have lost their mothers. Some women don’t have a relationship with their mom at all. So while we go through this day, hopefully celebrating ourselves and our own mothers, let’s remember the women who have an ache in their chest on this Sunday. For some of us, this day is just another day. For some, it’s a painful reminder of dreams lost or unfulfilled. And for others, it’s a day to be pampered and celebrated as we all deserve every day of the year. 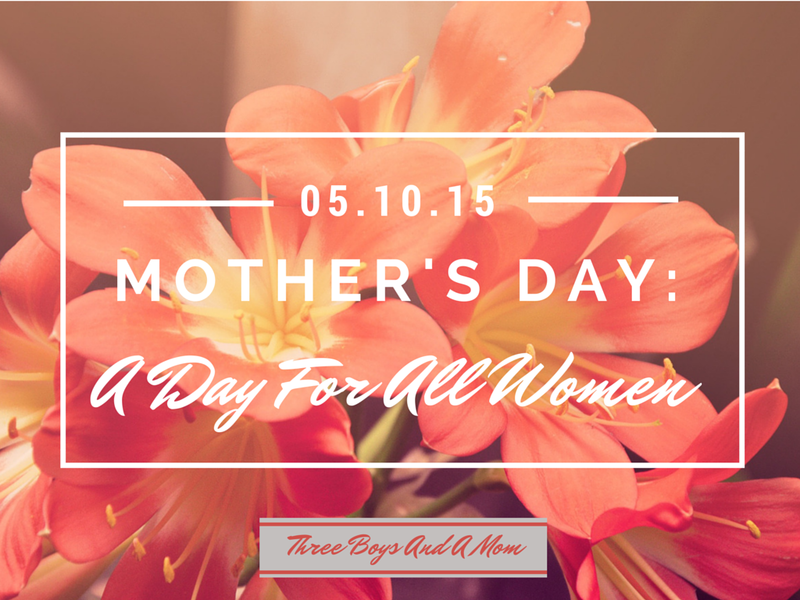 Whatever this day brings for you, know that if you are a woman, Mother’s Day is for you. Happy Mother’s Day to all women, but especially moms! No matter what the relationship is with your own mom, this is a day to appreciate her, if for no other reason than the fact that she gave you life. For those of us celebrating this day as a mom, it’s because of our own mothers that we get to celebrate this day from the other side. All women are life givers. Through our hearts, our spirits and our souls, we give life to the world. Through the dreams we fulfill, the ideas we birth, and the beauty we create, women are the beginning and the end of life on earth. Our words can invoke life or they can speak death. Our touch can comfort and our kiss can heal. If you are a mother, I hope this day brings you everything you deserve each day of the year that you probably don’t get. A chance to pee without an audience. A shower. Some alone time if you want it. A day of no dishes and no cleaning and no stress. A day dedicated to appreciating you for how amazing you really are. And most importantly, a day to be with your babies…the very reason you get recognized this day of each year. If you’re not yet a mother or you have lost a child, I hope you know that you are not forgotten and your pain is not dismissed. You are seen and you are held. I know you don’t want to hear, “Everything happens for a reason” or “It’ll all come in God’s time.” Unless someone has been in your shoes, they can’t possibly imagine your experience. I know that until you have the baby you’ve dreamed of in your arms, nothing will satisfy that need. I know that if your baby was taken from you much too soon, there is a forever hole in your heart that nothing can fill. And I know that likely, this day brings with it great sadness and pain. If you’ve lost your mother, I know this day is heartbreaking. I can’t even imagine it. But I hope you know that you are not forgotten. Your mom is with you in spirit today and every day, and although that doesn’t take away your agony, I hope it provides some comfort knowing she is proud of the woman you’ve become. She sees you. She helped mold you into the beautiful woman you are today, and it’s because of her that you are here. I know this is likely a bitter-sweet time and I hope you know that truth is appreciated by many, both in your shoes and just admiring them. If none of the above apply and you’re “just a woman,” this day is still for you. 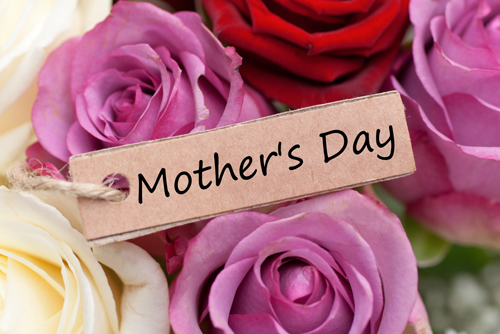 You have a mom in some capacity, and you are a life-giver, whether you are a mom or not. So whatever your connection is to this day, we all have a place in it. Happy Mother’s Day everyone! If at all possible, go love on your mama!